Collect points in hotel and restaurant Dimmer and enjoy loyalty discounts. Request your O'Logis card the next time you visit the Hotel Dimmer. Valid in all the Logis network's establishments, in France and Europe. If you are a regular Logis customer then you’ll find the O'Logis loyalty program is ideal for you! Whichever Logis establishment you visit in France, Germany, Netherlands, Belgium, Luxembourg, Andorra, Spain, Portugal or Italy, you can be sure of a warm welcome with a personal touch. Collect points at our hotels and restaurants and whenever you stay at Logis, Logis d’Exception, Maison by Logis or Insolite by Logis establishments, whether it’s for business or for leisure. 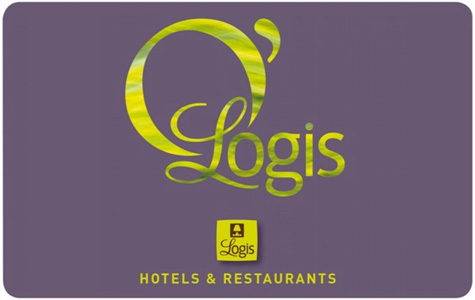 Starting from €20 spent per person, whenever you stay at a Logis establishment, either for business or leisure, or whenever you use one of our restaurants, you’ll collect points which you can convert into loyalty vouchers, valid throughout the whole Logis network. The more you come to Logis establishments, the more points you’ll earn! Convert your points into loyalty vouchers, valid across the entire Logis network. Once you reach the 1,400 point mark, you're entitled to a loyalty voucher worth €15. You can also continue collecting points to claim a loyalty discount of up to €120! You can also donate your loyalty vouchers to family and friends so they too can experience the delights of Logis hotels, houses, gîtes and cabins.